Yum! Very late entry to Friday Food Fiesta - salad! 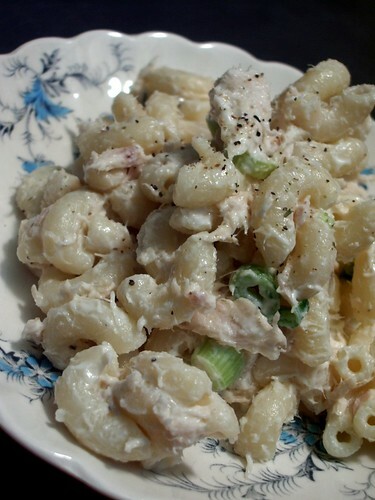 This is delicious tuna macaroni salad that my mum makes - very simple. Cook macaroni, rinse and cool, add two cans of tuna (best if home-canned) plus green onions, salt, pepper, and mayonaise. We don't have exact measurements ... just until it tastes good! Then refrigerate.